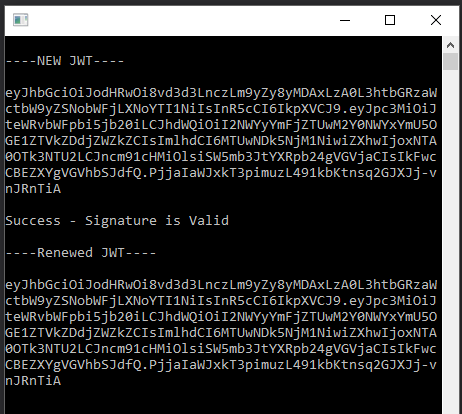 The screen shot from a C# Console App that shows a JSON Web Token that was created, JWT Signature Verified, and issuing a new JWT from a refresh Token. This example can be found on my repo at GitHub at this link. I have been using NHibernate for large corporate projects for a while now, but wanted to leverage a lighter ORM for some personal projects. I did not want the overhead of configuring NHibernate and wanted something "lighter". I have heard many developers discuss Dapper. I was interested in looking into it, but I do not like InLine SQL. 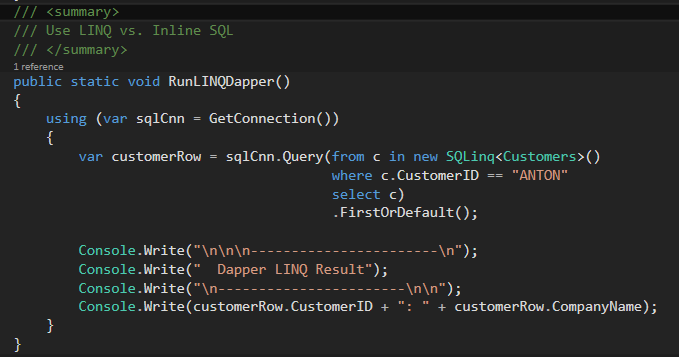 I would rather use LINQ. 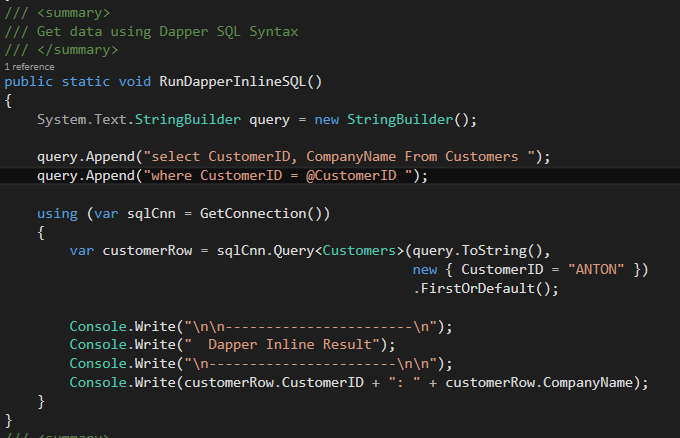 On GitHub there is a package called SQLinq for Dapper! 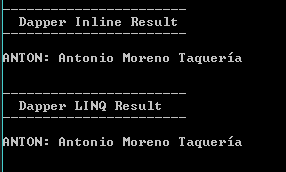 The screen shots below (and ZIP file Download) shows using Dapper with Inline SQL and LINQ over a SQL Server Northwind Database. This project is a console app built in Visual Studio 2015. I have been frustrated with the performance of the Exchange TouchDown for Andriod after Symantec bought it out in 2016. When the Exchange TouchDown app was developed and maintained by NitroDesk it was really top notch. Symantec really made a mess of the app. Instead of fixing it, they are shutting it down. Symantec released an end of life statement "Symantec Corporation hereby informs you that we will be discontinuing the availability of Touchdown by Symantec. End of Product Life (EOL) 7/3/2017"
THERE IS GOOD NEWS: I have been using the last version 8.5.00086 before Symantec made a huge mess of the Exchange TouchDown for Andriod app. 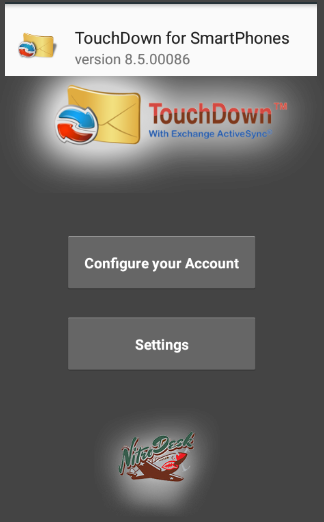 An alternative to NitroDesk you can use the Outlook app by Mircorsoft for Android (personally I still prefer the NitroDesk TouchDown for Andriod app). Touchdown Before Symantec: You can download the APK of the last version published by NitroDesk from the link below. This is the free version. If you paid for the full version your key will still work since this is the last version developed by NitroDesk with NO Symantec features at all!